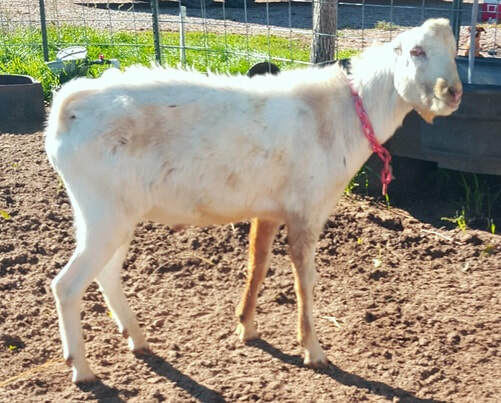 I have been wanting a LaMancha doe for a while now and finally decided to go for it! I wanted a solid performance pedigree with a flashy wrapper. I am so pleased that I was able to find this beautiful little girl; she is exactly the quality I was looking for. A huge THANK YOU to Sand Stone Ridge Dairy of Vernal, UT for allowing this girl to come live with me and for going above and beyond to help get everything done to get her here right away. 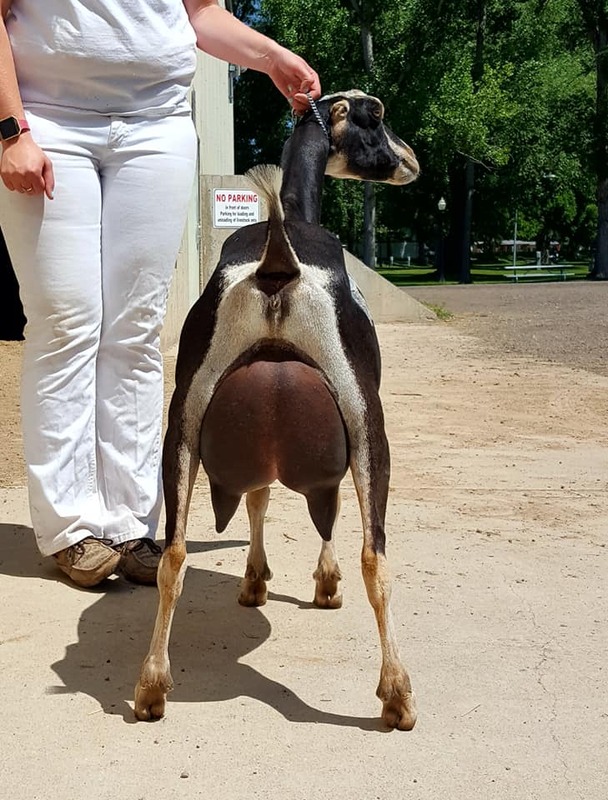 Her dam, Diana, is 1x GCH Sr Doe and 5x RGCH Sr Doe and was 17th Place 4yr Old at the 2017 ADGA National Show. At 3yrs 6mths she was appraised at VEEE 90 with E's earned in head, shoulders, back, and rump. 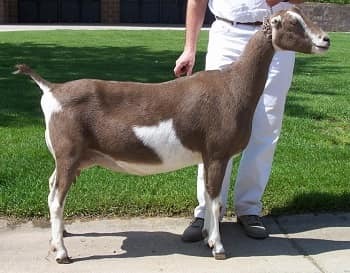 Diana is a full sibling to Sweet Deseret's LSC Ember who scored VEVE 88 at 3yrs 4 months and Sweet Deseret's LSC Emblaizen who scored EVEV 89 at 2yrs 6mths. I am hoping this strong female line carries through to Nefertiti! 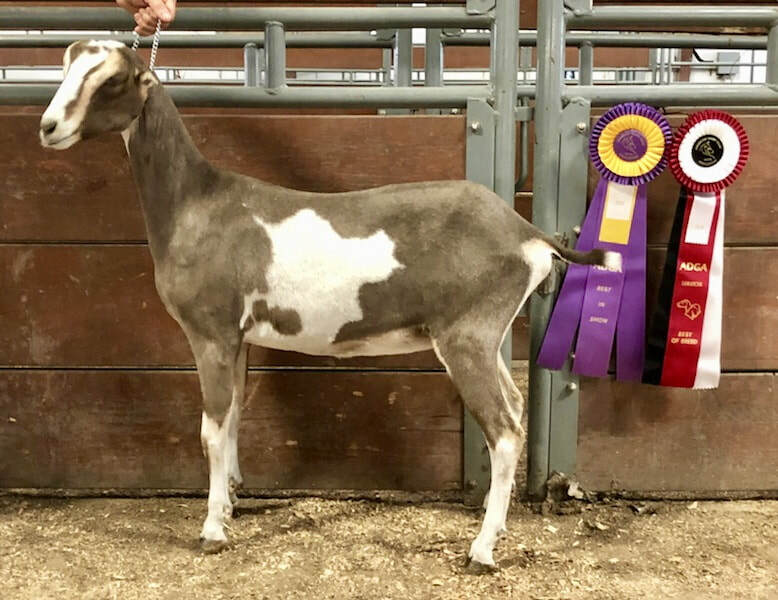 Nefertiti's sire, Biscotti, is promising young buck who is a full sibling to GCH South-Fork Sweet Bon Bon EEVE 92 who scored E's in head, front legs, hind legs, back and rump (all other scores are V's!). Biscotti's dam, Sweet Truffles, is a full sister to CH South-Fork Sweet Token VEEV 90. Biscotti's sire, Toi Soldier, is the sire of 9 finished ADGA Champions and 9 Superior Genetics designations. Nefertiti's sire and dam lines are stacked with high linear appraisal scores and proven winners in the show ring. I can't wait to see what this beautiful doe matures into. 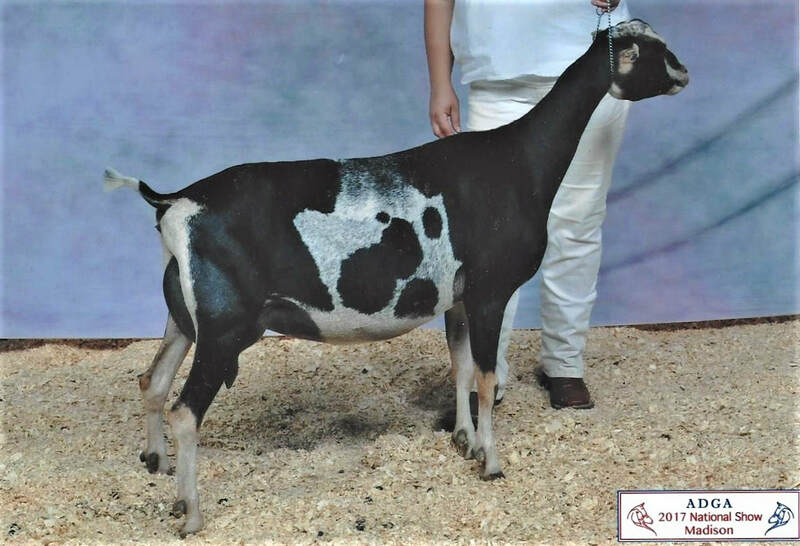 Dam: Sweet Deseret's CL Diana - Courtesy of Sand Stone Ridge. Sire's Dam: South-Fork Sweet Truffles. Courtesy South Fork Farm. Sire's Full Sister: South-Fork Sweet Bon Bon. Courtesy of Sand Stone Ridge. 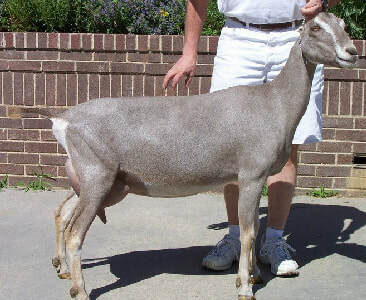 Sire: Sand Stone Ridge Biscotti. Courtesy Sand Stone Ridge.